Deus Ex: Human Revolution is a tale of two games: one of utter enjoyment and another of loathing. It has no identity and that can be a good thing, here it comes back to bite it in the end. It’s a daunting task to create a product that combines so many different playstyles and not have some missteps; those small stumbles can trip up an otherwise delicious outing. This is like few games and like many at the same time. 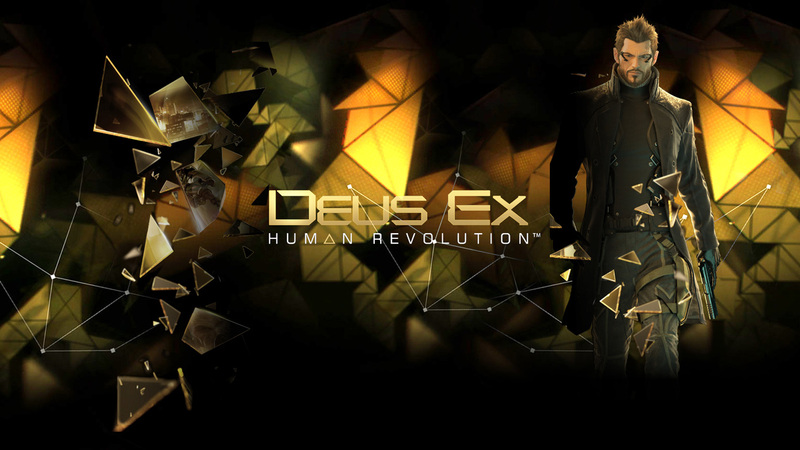 Deus Ex: Human Revolution tries to give you all the elements of today’s gaming generation all in one package. Human Revolution is almost everything on the market; a first person shooter, a third person stealth action game, an open ended RPG, a adventure game – there’s something for nearly anyone…while there is no tower defense or driving segments there’s still room for downloadable content so I won’t rule that out. The look is what brings out the character here. Deus Ex is a minimalist composition; most of the world is filtered through gold and black. It’s certainly stellar artistically, and the visuals set a picture of a very believable future in 2027. 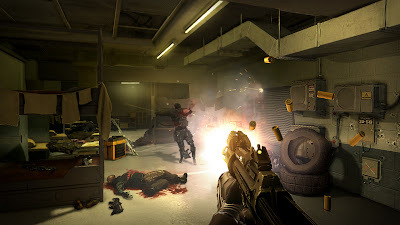 At its heart Deus Ex takes cues from films like Blade Runner, Mission Impossible and James Bond. Mass Effect’s influence is also apparent and then there’s a sprinkling of Metal Gear Solid to finish. With that many different ideas you expect the game to be a mess, no it’s not…. neither is it perfect. 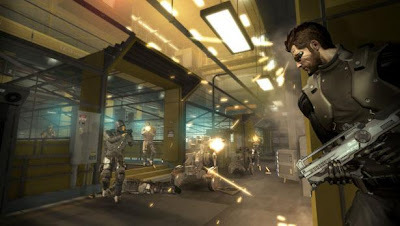 The plot mainly centers on corporate espionage, and the investigation of a massacre by lead Adam Jensen. While the story isn’t entirely predictable, those who you have suspicions about usually don’t disappoint in the betrayal department; fortunately there are multiple endings so it’s hard for the finale to spoil the entire experience like it would for some other stories. An underlying conflict in the world of Human Revolution is between humans and augmenters (those who get there limbs replaced with robotics), and you’d think that was an allegory for something in today’s timeframe but it never takes full shape. It’s just a plot device. The idea of human technology progressing people down a path of destruction was the key dilemma during the ending but I was never emotionally invested enough to question that myself. 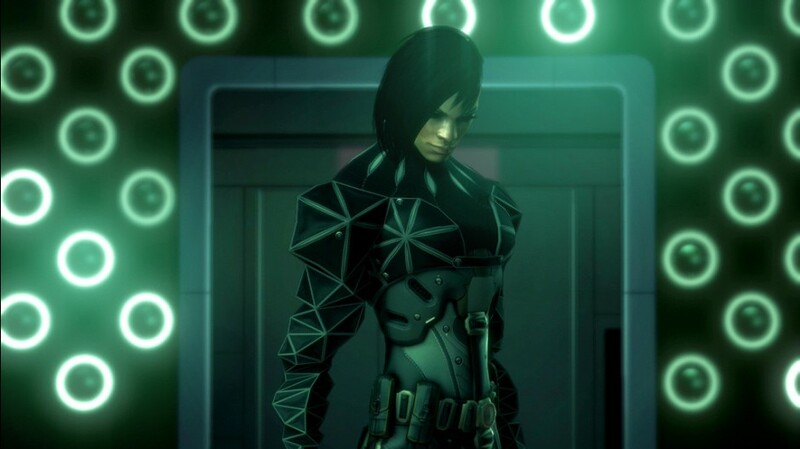 Main man Adam Jensen is one of the augmented and through a set of skills can become a stealthy ninja, at least most of the time. The augmentation system gives the illusion of choice, and the actual game rewards those who play a stealthier role. You can upgrade guns, but there’s not enough ammo to justify such an approach. You have to put points into hacking, just to make your life easier, and certain other augments are useless like extended lung capacity and sprint distance. ...shooting doesn't work so hot when you don't have bullets! Jensen can handle a situation in many different ways, and this is where my enjoyment of Deus Ex: HR was found. If you need to infiltrate a building there’s usually 5 different ways to enter. You can sweet-talk the guards, stealth past, go in through a vent, scale the roof, or just blast your way in. Too bad this ideal is lost at the end: you are forced into gunfights and stealth moments just to progress, and its very frustrating being thrown into a situation you’re not prepared for – like the awful boss fights. A game like this shouldn’t have boss battle – if it does at least give me more than one way to kill them, nope just shoot them in the face that’s your only choice here, sorry for all the people that put focuses on stealth you’re kind of screwed! Each boss brings the train completely off the rails and stalls the momentum completely. They’re just not fun and not at all necessary. 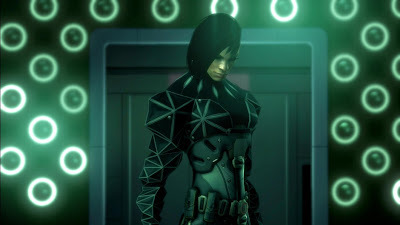 You can have stronger adversaries in a stealth game (This is where the comparisons to Metal Gear comes into play), but you have to understand the type of game you’re making and not have these fights clash with the overall product and that’s where Deus Ex: Human Revolution fails. Oh, I hate you so much. I found some like here, and I found some hate. I just feel that my dislike may fester and taint my whole experience with Deus Ex, and that’s unfortunate. A second playthrough is still an option, and I’d like to try things differently, there is room for that. Sadly, we don’t get a new game plus+ and that hurts my chances of going back to play any time soon. Deus Ex: Human Revolution is going to be some kid’s favorite game, and I can see why in some areas. I personally don’t feel all the parts come together to form a completely working machine. And the latter stages focus on stealth so heavily it’s tough to play as anything else, making the idea of choice fall through the floor. I actually want to love this game, and it’s painful that I have to say: Deus Ex: Human Revolution is whispering in your ear telling you what you want to here; making you think you’re the one making the choices when really you are getting manipulated from the backside like a ventriloquist dummy. I commend Eidos Montreal for creating an ambitious piece of art; it’s just not a masterpiece.